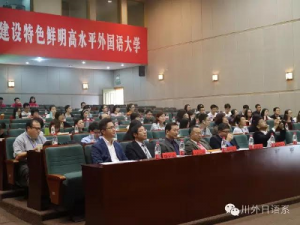 The International Symposium “Transborder and Mixed Breed as a Method: The 110th Anniversary of the Birth of Huang Ying” was held at Sichuan International Studies University (SISU) on 22nd and 23rd October 2016. This symposium was hosted by SISU with a support of the Japan Foundation and the HIJAS participated as a collaborative organization. 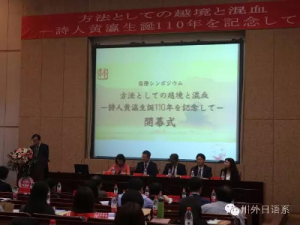 Professor Min Wang, who was a student of Huang Ying, made her presentation on behalf of the HIJAS with a title “A Message from Professor Huang Ying”.